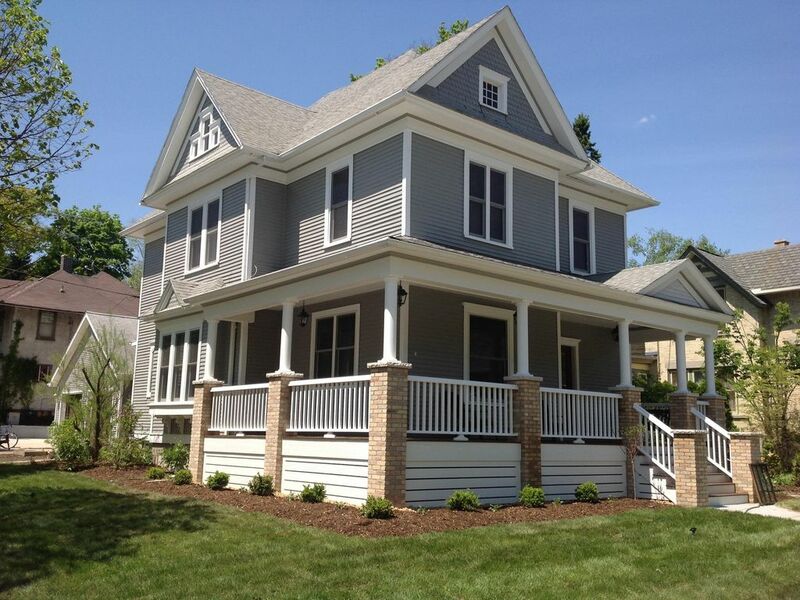 East Street Retreat is a beautiful Victorian home and is perfectly located just steps away from Elkhart Lake's beautiful sandy residential beach. This large Victorian home has four spacious bedrooms with two full baths and is the ultimate family retreat or vacation getaway with a group of friends. The bedrooms consist of 3 rooms with queen beds and the fourth bedroom has two twin beds and a set of bunk beds. All of the rooms are decorated with an eclectic flavor consisting of antique furniture from local dealers providing a very relaxed and comfortable feel throughout. Outside you will find an open porch perfect for soaking up the sun and taking in the beautiful views, a screened-in porch perfect for curling up for a cat nap after a round of golf, and a patio area perfect for a barbecue after a relaxing day at the beach. Elkhart Lake offers beautiful clear, blue water and sandy beaches for swimming, boating and fishing. It is located minutes from Road America. Also, Sheboygan County was ranked third in the nation as golf destination by Golf Digest. You can try a new course everyday, throughout the week. Keywords: Victorian home, Ryder, golf, Large 4 bedroom home. Full size washer and dryer in the basement. There is a 2 car garage and driveway. There are additional leaves for the table located in the bench in the front entrance. There is also a stereo that can play iPods/iphones. Located in the master bedroom armoire. Lower drawer. I was very impressed with the cleanliness and quality of the property. It’s a prefect location and the host was very helpful in getting us in and out for our stay. Highly recommended, one of my better AirBnB/vrbo experiences! Have stayed many times. Never disappoints. Best house in Elkhart Lake! Perfect home for a fall family weekend! This home was perfect for our family of 8 adults and 2 children as we celebrated a 65th birthday. Lots of space to gather together and to spread out for games and chats. The decorating and furniture were comfortable and inviting and the kitchen was well equipped. Being so close to the beach and to the downtown was perfect. We parked when we arrived on Friday and never moved our cars until we left! Thank you for sharing this lovely home with us! A wonderful opportunity to visit Elkhart lake! Absolutely gorgeous retreat! Rates adjustable until reservation confirmed.